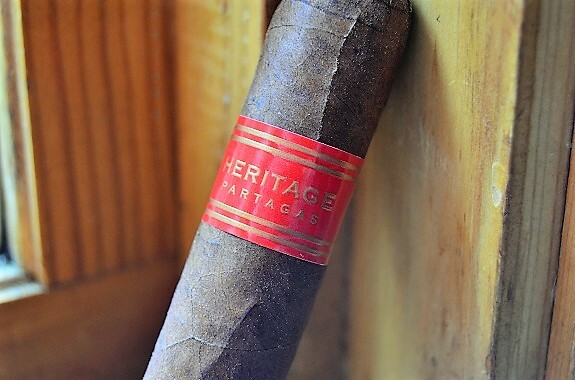 Said to be a blend created more than ten years ago, the Partagas Heritage is the latest release from General Cigar Co. under their Partagas brand. The company announced nationwide release on March 21, 2017. 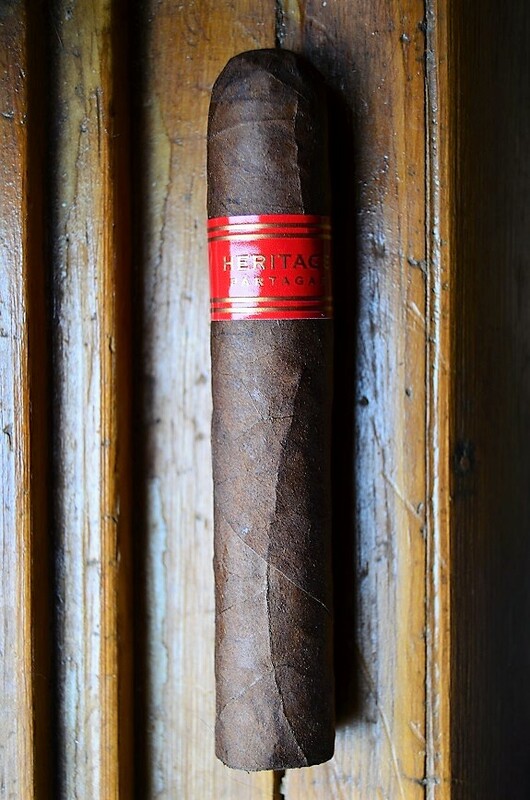 Produced at General Cigar Dominicana, Partagas Heritage is available in four vitolas: Rothschild (4 ½ by 50), Robusto (5 ½ by 52), Churchill (7 by 49), and Gigante (6 by 60). 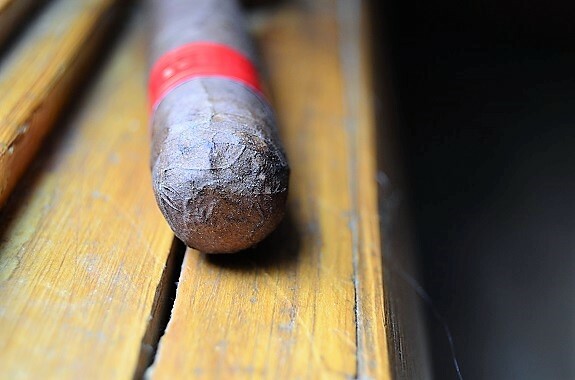 The Heritage features tobaccos from Honduras, Connecticut, Dominican Republic and Mexico with only viso leaves used in the cigar. The Honduran Olancho San Agustin Valley wrapper is a proprietary leaf grown by the Plasencia family only for General Cigar Co.. The wrapper leaf can be found on a few other offerings from the company. The Partagas Heritage is wrapped in a medium to dark brown marbleized leaf that has a deep red hue and black color splotches. A couple of medium to large veins run veins run down the bumpy wrapper. A nice amount of oils can be felt as I examine the cigar from head to foot on this evenly and firmly filled stick. An aroma of vinegar and sweet cedar are found on the wrapper of the cigar, while a thick aroma of silk chocolate is found on the foot. A quick cut through the double cap opens up a free draw bringing forth cold draw flavors of potpourri and cedar and a light cinnamon spice is felt in the back of the throat. 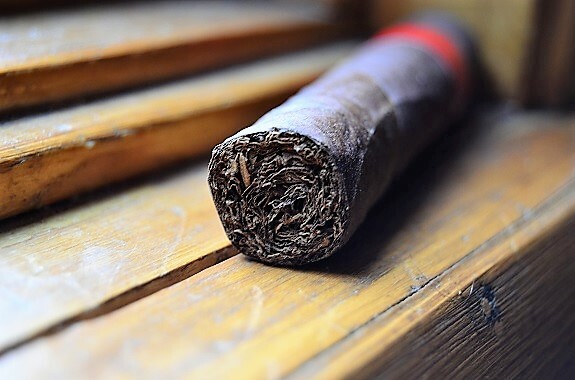 The cigar opens with a sharp metallic flavor as the smoke is thick and chewy in the mouth. There are additional flavors of sweet wood, salt, and a decent amount of pepper spice, followed by an earthy finish. The burn line is razor thin with a minor wave as a light colored, flaky ash is formed. The first ash dropped short of the one inch mark. Moving into the second third, the metallic quality has diminished and the cigar has gained in richness and spice. At the same time, the earlier flavors are now meshing well with an additional bit of sweetness that may be tied to a raisin flavor. Also, the more generic woodsy flavor in the first third is now a warm cedar. A copious amount of smoke is produced delivering a medium flavor profile as the cigar burns just about perfectly. The Partagas Heritage has become more enjoyable with each puff . Down to the last third of the cigar, the profile remains rich and the flavors well rounded. The saltiness has held strong for the entirety of the cigar and remains an intriguing part of the profile. A toasted bread flavor develops with only an inch remaining. The burn is a bit off track , but with so little cigar remaining it is not worth a touch-up. The first sample smoked for review started off a little bumpy with the metallic flavor, but it quickly moved from a disjointed profile to one that was rather balanced. Up until the last third, the cigar performed flawlessly. And even with the wavy burn in the final third, there was really no impact to the smoke. The second sample skipped right over the metallic flavor, but several burn issues were encountered over the course of the smoke. Even so, other than being a minor annoyance, the touch-ups didn’t interfere with the flavors. For a reasonably priced cigar, the Partagas Heritage presents a medium flavor and strength profile with some intriguing qualities.